STOP! Don’t Replace Your HVAC System Until You Read This! Have you taken advantage of the current Home Performance with Energy Star (HPwES) rebates? If not, now is the time to act! With this great program available now, there’s no better time to save money on monthly energy bills and get a rebate to help offset your upfront investment. Rebates are performance-based (the amount of the rebate is based on the energy saved due to the upgrades). To access available rebates, your home must have a pre-upgrade energy audit performed by a participating contractor. Your out-of-pocket cost under this program is $100. The balance is covered by the utilities. Current rebates can be up to 75% of the cost of the improvements based on the level of energy improvements, with a maximum rebate of $7500.00. Rebates are paid for air sealing, insulation, and duct sealing. 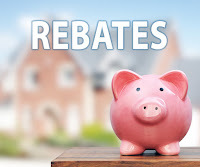 Rebates are paid for HVAC replacements ONLY when the replacement is done in combination with air sealing and insulation. DO NOT REPLACE YOUR HVAC SYSTEM WITHOUT TALKING WITH DEVERE INSULATION HOME PERFORMANCE! We will help you get your maximum rebate. Right now utilities are paying the highest available rates for savings! But this will change soon! Electricity: Utility rebates can range from $.12 – $.18 per MMBTU of savings of KWH. Gas/Oil/Propane: Utility rebates can range $.02 – $.08 per Therm of savings. Don’t Wait!! Why waste money on high monthly energy bills when these great rebates are available? Our team will walk you through the process to ensure you earn the highest rebate possible! Call our office at 443-770-1111 today! Author adminPosted on January 4, 2018 July 13, 2018 Categories Home Performance with Energy Star, HVAC, rebates, Utility RebatesLeave a comment on STOP! Don’t Replace Your HVAC System Until You Read This!